Neuroscientist Li-Huei Tsai is Director of the Picower Institute for Learning and Memory at MIT. One of her many projects takes a “network level” look at how neurodegenerative diseases like Alzheimer’s can cause brain cells to get out of sync. In addition to trying to figure out the how & why she’s actively working to correct it – investigating the potential for non-invasive treatments like light & sound therapies to correct altered brain rhythms and improve cognitive functioning. Tsai was born in Taiwan and moved to the United States intending to become a veterinarian, but became fascinated in cancer biology. She earned a Ph.D. from the University of Texas Southwestern Medical Center at Dallas, carried out postdoctoral research with Ed Harlow at CSHL & Massachusetts General Hospital, then joined the faculty of Harvard Medical School’s pathology department. In this course of her cancer research, she found cancer-associated proteins that behaved differently in the brain than in other cells, and was drawn into the field of neuroscience. She moved to MIT and, in 2006, was appointed Professor in the Department of Brain and Cognitive Sciences. She co-founded MIT’s Aging Brain Initiative in 2015 and has earned many awards including Hans Wigzell Research Foundation’s 2018 Prize in Medicine. One of WiSE’s institutional initiatives is hosting “speaker’s breakfasts” – each week, Cold Spring Harbor Laboratory (CSHL) invites leading scientists from around the world to give seminars on their work. Recognizing that it can be intimidating (and/or “off-topic”) to ask questions in a public setting, WiSE organizes breakfasts for the female speakers to interact with WiSE-Rs in a more relaxed, informal environment. This approach certainly paid off last week when WiSE-Rs had breakfast with Dr. Li-Huei Tsai. 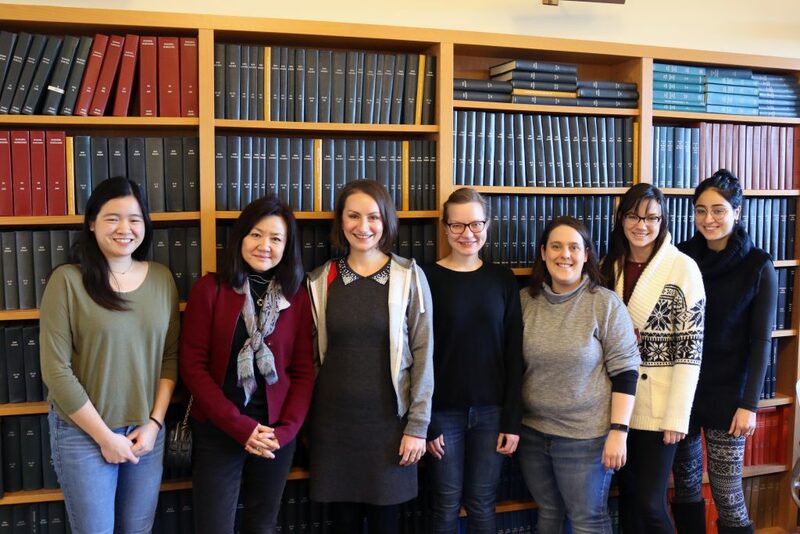 At her seminar, we heard a fascinating talk about “Network level approaches to studying neurodegeneration” and at breakfast we heard another fascinating tale – how she navigated a transition from cancer biology to neuroscience. Stories like these are so important to hear but they’re often overshadowed by the amazing science that gets all the focus. We hope that by providing opportunities to hear the stories behind the science and the scientists we can help a diverse scientific pool learn from one another, foster one another’s growth, and advance the scientific field! We’re so grateful to Dr, Tsai and the other speakers who have participated for taking the time to meet with us!